We already pay the most for gas in CONUS and soon we will be paying even more. 76.7 cents in combined state and federal taxes and fees. The newscaster also mentioned an additional vehicle license fee is in the works. I paid $2.75 in suburban San Diego today. In other news, I found out that this new tax will take effect at the same time our state changes over to the "winter blend" of gas. The winter blend is cheaper than the summer blend. So they timed it so the sheeple won't notice much of an increase in price because the gas itself will go down in price but the new taxes will take effect at the same time. Obviously done on purpose by our legislators. It doesn't effect my gas bill that much because I have a short commute and I don't do a lot of other driving. But I know it will have to impact the cost of just about everything. Because every business will have to pay increased gas prices which will be passed onto all of us consumers here. Of course, it hurts our poorest citizens the most. Ms. A, ugh on your gas price. Been hanging at $2.12 locally but still varies up to $2.30 within 5 miles. It's hanging at $2.15 locally but gets much higher farther away. Glad to see the refineries down there are not bustin yer balls after the flood. Probably not. The Texas City area has some pretty good pumps. Like these. 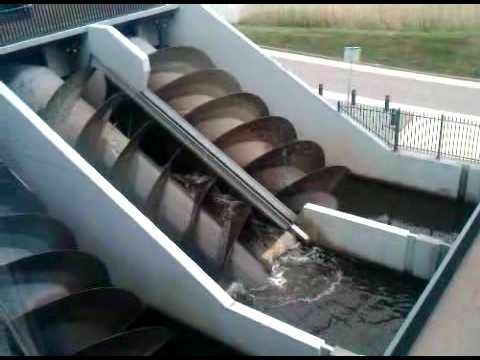 Archimedes screw pumps. Today 2.34.9 for regular unleaded. I did notice that a new gas station is opening up that just might have alcohol free gas that I can use in my NATO style gas cans. Down to $2.09 locally. I've seen $1.97 further way from here. Sweet. How long has it been since we've seen gas under 2 bucks? LP delivery driver was just here. Said what was on their trucks was all that they would be getting for a while. Hmmm, that's odd. He didn't elaborate. Just went for gas this morning. Yesterday it was $2.15, this morning $2.19. What struck me though is that the station has never raised it's price overnight. Always in the mornings around 8am. Yeah the place I went jumped from $2.09 a week ago to $2.19 today in three increases.